Not unlike so many others, I am still in a state of extreme like when it comes to açai. I have it as often as I can – which is not often enough I must add! I love berries and this just pulls them together so well. Whilst the smoothie bowls are certainly my preferred way to serve the açai, I am also conscious that it is a bit more time consuming to prepare and not as portable. So, occasionally I make this variation. 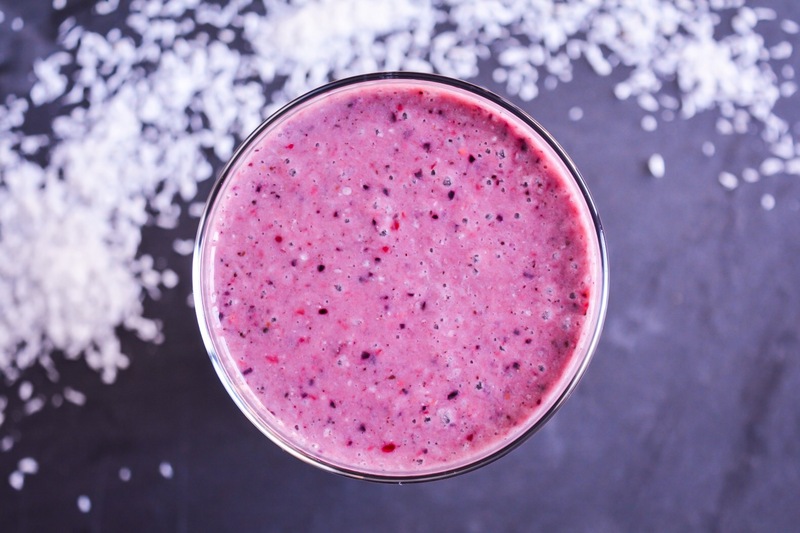 I also really like the complement between coconut and berries. 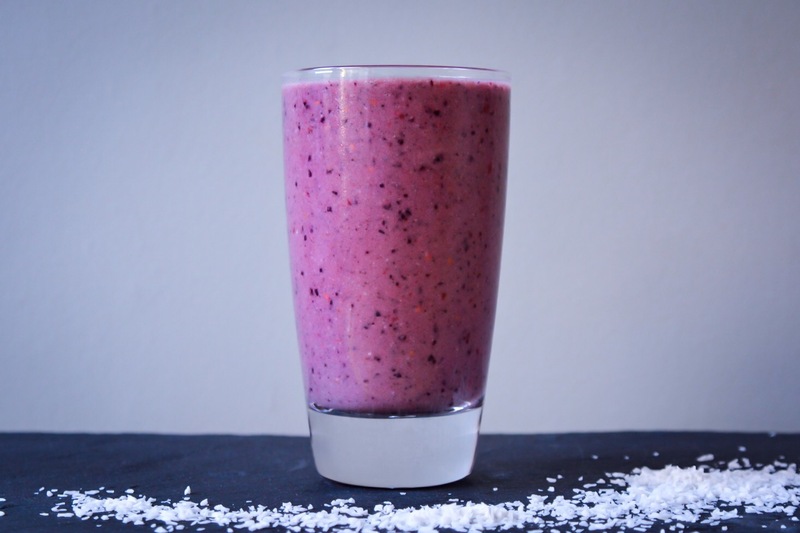 If you have access to frozen açai then leave out the berries and use this instead. Sadly we are still limited to the powder, which I find works best mixed with a blend of berries. Add all the ingredients together in your blender bowl and blend until smooth.